CONVOLVULACEAE. Showy, easily grown, mostly annual tropical twiners. Treat like morning glory. Now generally classed in Mina and Ipomoea. 'CARDINAL CLIMBER'. Intense cardinal-red 2" long flowers with white throats. Hardy annual with divided leaves. Hybrid between Quamoclit coccinea and Q. pennata. Striking. Germinates in 1 - 4 weeks. COMPOSITAE. 'PRAIRIE CONEFLOWER' Hardy perennial North American wildflowers grown for their large, striking, showy yellow to purple flowers. Sow in March and April for possible bloom the first year. Space 1 - 2 feet. Easy from seed in 1 - 3 weeks. 'MEXICAN HAT'. Bright flowers with drooping petals vary from red edged and tipped yellow, to pure yellow. Column-like center. Hardy perennial to 3 feet, with narrow divided foliage, giving a good show in summer. Great Plains, Canada to México. Zone 4. Germinates in about a week, The leaves and flower-heads were used as a tea by Dakota Indians. YELLOW RATTLE'. Yellow hooded flowers in spikes in summer, followed by inflated rattling pods. Hardy annual to 20". N. Hemisphere grasslands, where it increases diversity. Plant among grasses as they are its host. Prechill 12 weeks or sow in fall. CRASSULACEAE. Succulent perennials much like Sedum. Easily grown in well-drained soils. Hardy. 'ROSE-ROOT'. Dense clusters of yellow flowers in May and June. Very hardy perennial to 10", with crowded succulent grey-green leaves, often tinged red at the base. Northern regions. Zone 1. The leaves have been eaten in salads, steamed, or pickled. 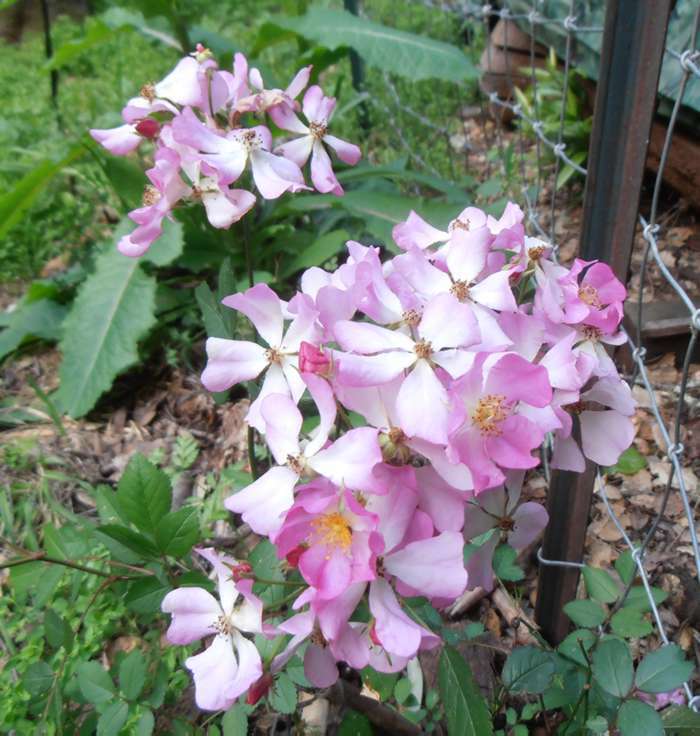 The rose-scented root is a valuable medicine, being adaptogenic like ginseng, increasing strength, endurance, learning, memory, is cardioprotective, anti-carcinogenic, and is used for a wide variety of conditions. For a good overview, see Herbalgram No. 56, 2002. Prechill 4 weeks or give GA-3 at 200 to 500ppm to germinate in 1 - 3 weeks. GROSSULARIACEAE. 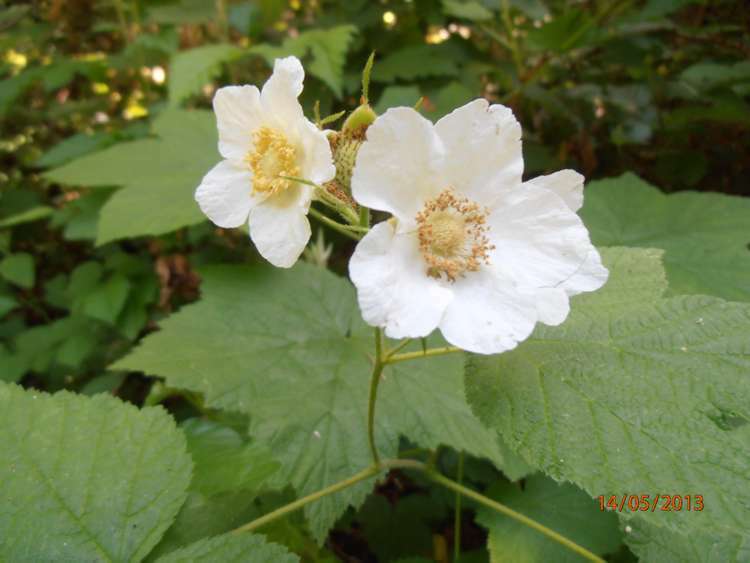 Temperate region shrubs grown for their edible fruits or beautiful bloom. Good wildlife food and habitat. Sow in fall or give 3 - 4 months cold treatment, with several cycles of warm and cold may help. Seed long lived, giving high germination for 13 - 17 years of room-temperature storage. 'RED FLOWERED CURRANT'. Red flowers in clusters followed by bluish black edible fruits. To 12 feet. B.C. to California. Zone 6. Give 3 - 4 months cold to germinate in 8 weeks or so. 'CASTOR BEAN', 'PALMA CHRISTI'. Tropical tree to 30 - 40 feet, grown as an annual to 3 - 15 feet in cold winter areas for the bold foliage. Huge palm-like lobed leaves to 1 - 3 feet wide, and 1 - 2 foot long clusters of flowers followed by attractive spiny pods. Good for a quick screen or tropical effect in the border. Any soil but doesn't like wet feet. Thrives in full sun, heat and moisture. In Zones 8 - 10 it is perennial and becomes tree-like. The poisonous seeds (warn children) are the source of the purgative 'Castor Oil', also used for illumination, soapmaking, lubrication, etc. Much used by the ancient Egyptians, and mentioned by Herodotus. Many medicinal uses. Silkworms can be fed on the leaves. Stems used in papermaking. Ecuadorian Indians string the seeds and burn them like candles. Scalded leaves once used externally as a galactagogue. Foliage sometimes causes rash. Soak seed overnight and plant in pots to sprout in about 1 - 12 weeks at warm temperatures. Plant out in May. Seed half life about 13 years. A trick which often increases and speeds germination is to break off the "snout" (caruncle) of the seed before planting. Lightly sanding the tip where the "snout" was helps even more on dormant lots. Seed half life about 13 years. KEEP SEEDS AWAY FROM CHILDREN. BULK RICINUS SEED SOLD ONLY TO NURSERYMEN AND SEEDSMEN. Brilliant red flower buds and seedpods, dark purple-brown leaves. Early blooming, to 5 feet. "An eye-catcher of exotic beauty."—E. Benary. The seedlings often start out green, and turn red later. 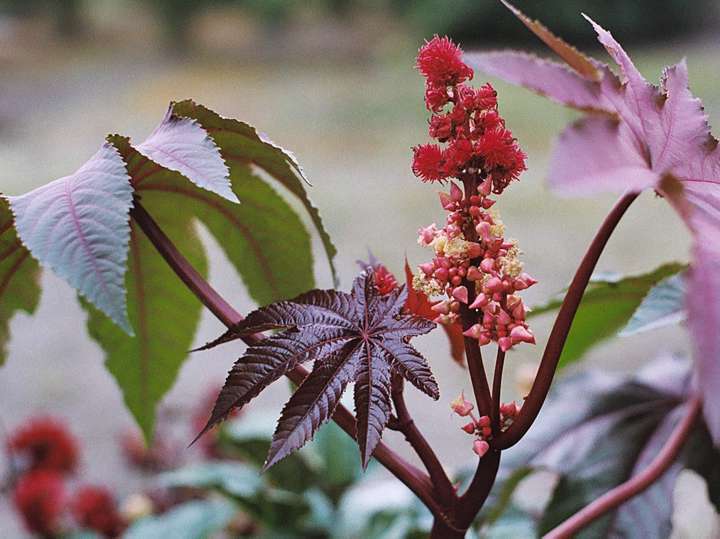 "I am still amazed by the Ricinus Carmencitas I grew from your seeds. What a spectacular plant! The leaves are a wonderful, luminous purple in full sun, and the impossibly bright, carmine red seed pods seem to glow from within. 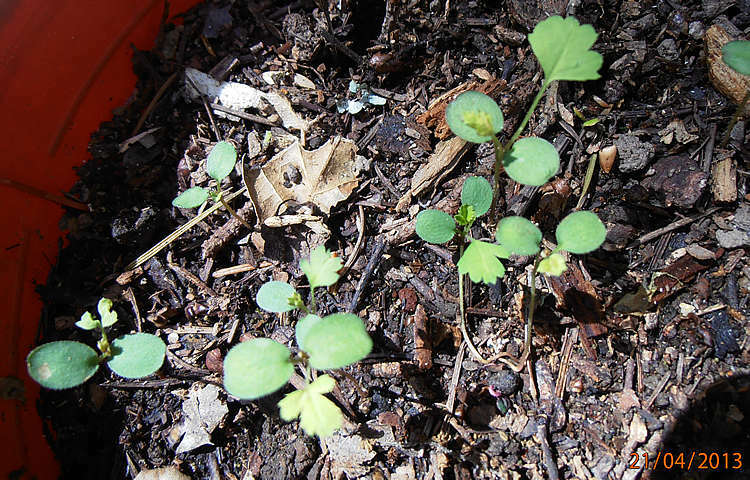 In addition, I had 100% germination and the plants thrived with only minimal care."—A. Denman, California, 7/97. 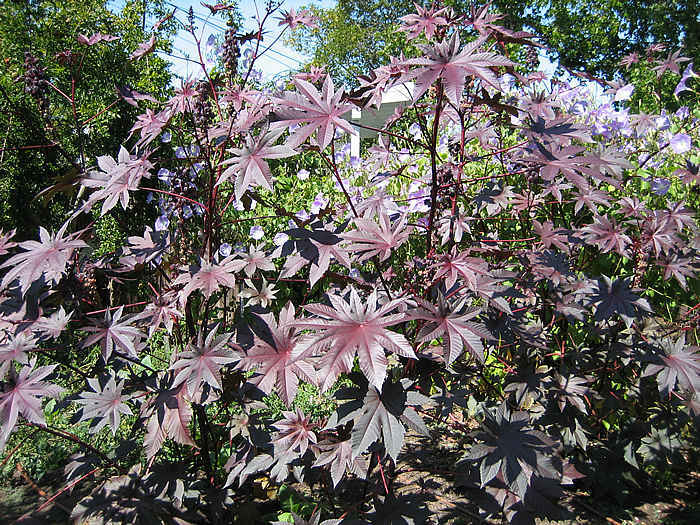 'NEW ZEALAND PURPLE CASTOR BEAN'. A showy variety with large deep purple leaves and stems. To 8 feet. Choice! Germinates in 1 - 4 weeks. 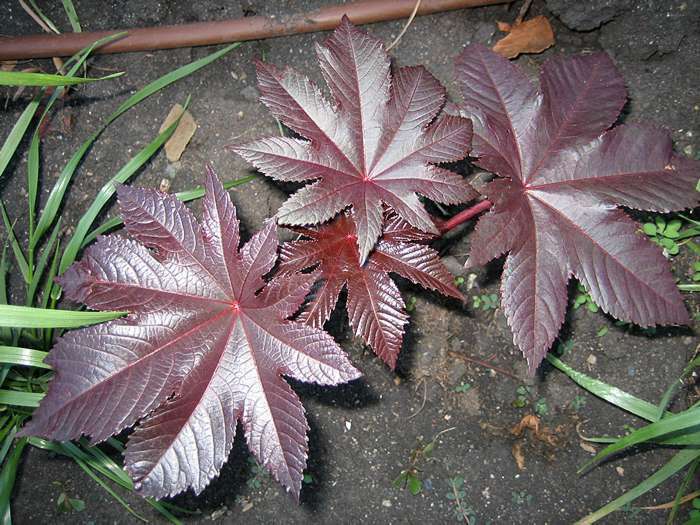 'RED BIG-LEAF CASTOR BEAN'. Large blood-red leaves and bronze stems to 10 feet. Large seed. 'ZANZIBAR BIG-LEAF CASTOR BEAN'. The largest leaves of all, bright green with white veins, up to 3 feet across. No red. Huge plant to 15 feet or more. CONVOLVULACEAE. Large woody twiners or climbing shrubs with heart-shaped leaves and attractive morning-glory-like flowers. Grown for ornament in the greenhouse or outdoors in warm regions. 'OLOLIUQUI', 'CAMPANITA', 'CHRISTMAS FLOWER'. Large clusters of white, inch-wide flowers. Large woody twiner reaching great heights with age, and the trunk as thick as a man's thigh. Heart-shaped 4" leaves. Tropical America. Zone 10. A good honey plant. Nick seed to germinate in a few weeks. LEGUMINOSAE. 'LOCUST'. Ornamental deciduous trees and shrubs of North America, grown for their showy white, pink or purple flowers and graceful pinnate foliage. 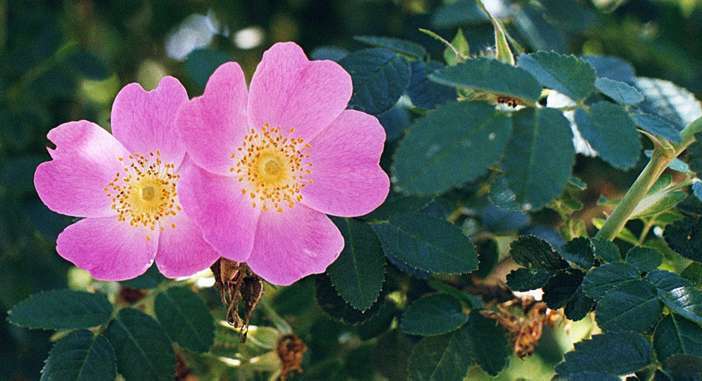 They stand heat, drought and poor soil, and are excellent for erosion control and reclamation. Nitrogen fixing. Good street trees. Nick and soak, to germinate in 1 - 3 weeks or so. 'BLACK LOCUST', 'FALSE ACACIA'. Fragrant white pea-like flowers in dense clusters to 4 - 8" long in May and June. Open-crowned tree to 80 feet, with graceful pinnate leaves. E. and Central U.S. Zone 3. A valuable and useful tree, producing hard, durable wood, and an excellent fuelwood crop. Produces up to 100 cubic meters per hectare at 10 - 20 years old, and can be coppiced. Good erosion control and soil builder, fixing 600Pounds N/acre in 20 year old stands. Good wildlife browse and bee forage, producing an exceptionally fine honey. The leaves crushed in water have been used to kill flies. The seeds are said to have been boiled for food by the Indians, but are toxic raw. One of our finest native trees. Yet another native species being falsely labeled an alien invader and being killed in the eastern US. SAXIFRAGACEAE. Asian woodland perennials preferring light shade to full sun, shelter from wind, and moist, rich deep soil. Related to Astilbe. Easily germinates at about 50° to 70°F. Flowers in shades of white, yellow, and pink, June to August. Hardy perennial to 32", with foliage dark green to bronze. Zone 5. Prechill seed 4 weeks to germinate in 2 - 4 weeks. ROSACEAE. Ornamental North Hemisphere shrubs and climbers, widely grown for their attractive flowers. Most are easily grown, the seed best sown in fall for spring germination, with stragglers over several seasons. Try roughing the seed on concrete and soaking a day or two until they sink, then plant in a gallon pot covered with loose, sandy soil. Screen pots to protect from mice and birds, and watch for powdery mildew. Prechill 2 - 3 months if planted out of season. 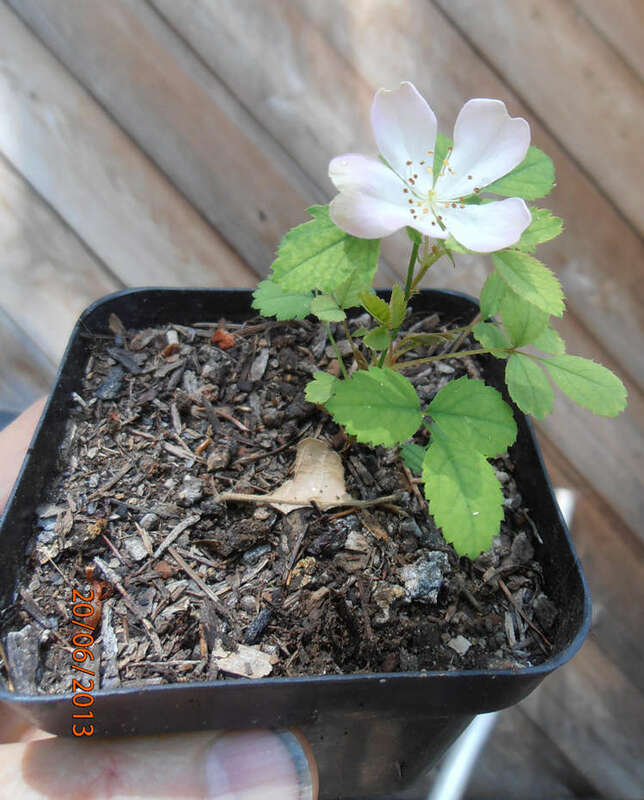 Also called 'Fairy Rose', a true miniature to only 10 - 18" tall, with delicate, miniature 1 1/2" flowers in a good range of rose, pink, and white, with a high percentage of doubles. Germinates in 3 - 10 weeks warm, and blooms in 3 - 6 months. Choice! 'EGLANTINE', 'SWEET BRIAR'. Single bright pink fragrant 2" flowers in June and July. The dark green foliage is deliciously aromatic, with a scent of spicy apples. Hardy shrub to 5 - 8 feet. Europe, W. Asia. Zone 4. "A handsome hardy rose of compact habit..."—Bailey. "Famed for its fragrance of both flower and foliage."—Hilliers. The hips are eaten and made into jelly. The petals are mixed with honey in the Middle Eastern confection called 'gulangabin'. ROSACEAE. Some 250 species worldwide, including many familiar cultivated berries. Easy in most soils. 'THIMBLE-BERRY'. Large white 1 - 2" wide five petaled fragrant flowers in spring, followed by red 3/4" berries. Spineless shrub with large light green downy 5 - 10" leaves. Western North America. Zone 4. The berries and young shoots are eaten. Prechill 8 weeks or so to germinate in 2 months and up. COMPOSITAE. Showy annuals and perennials thriving in sun or part shade, giving an abundance of bloom in summer and autumn. Easy in almost any soil. Some are good for cutting. Most germinate in 1 - 2 weeks. Golden orange 4" flowers with deep black eye. Hardy annual to 2 feet or so. A nice variety of the classic 'black-eyed-susan'. Germinates in 1 - 2 weeks. 'SWEET CONEFLOWER'. Yellow 3" flowers with purple-brown centers. Hardy perennial to 3 - 4 feet. Wisconsin to Louisiana. Beautiful bloom from August to September. Good in wettish, not swampy ground. Give seed 8 weeks cold to germinate in 1 - 2 weeks warm, or give GA-3 to germinate in 2 - 8 weeks. This lot non-dormant and germinates in 1 - 2 weeks. "The danger is not that a particular class is unfit to govern. Every class is unfit to govern. "—Lord Acton, 1881. ACANTHACEAE. Mostly tropical herbs and shrubs with funnel-shaped flowers in various shades. Grown in the greenhouse or outdoors in the South. Best in partial shade and fertile, well-drained soil, rich in compost. Seeds germinate readily in about 3 weeks. 'WILD PETUNIA'. Violet-blue 2" long petunia-like flowers in mid-summer. Hardy perennial to 1 - 2 feet, with 3" leaves. E. U.S. Zone 4. Good in dry rocky areas. Give 14 weeks cold or GA-3 to germinate in 1 - 2 weeks. LILIACEAE. Attractive western Eurasian shrubs. Seed stored moist and refrigerated. 'BUTCHER'S BROOM'. Dark glossy green 1 1/2" leaves bear small flowers in their centers, followed by attractive red or yellow 1/2" berries. Low dioecious shrub to 3 feet. Mediterranean. Zone 6. The young shoots have been eaten like asparagus, and the root is used medicinally against swollen legs, hemorrhoids, to tone the veins, and increase the blood flow to the brain and extremities. Germination may be prolonged—sow in a pot and hold several years. Worth the wait! RUTACEAE. Aromatic herbs and shrublets grown for scent, flavoring and medicine. Easy in well-drained moist soil. Germinates in 1 - 3 weeks, GA-3 helps, and the seed will give good germination for 2 to 5 years. 'RUE', 'HERB-OF-GRACE'. Yellow four-petaled flowers in summer. Hardy perennial to 2 - 3 feet, with finely divided blue-green foliage. South Europe. Zone 5. The powerful, pungent aroma is said to repel pests. Used sparingly in cooking, and is highly valued medicinally. May cause rash in sensitive people.